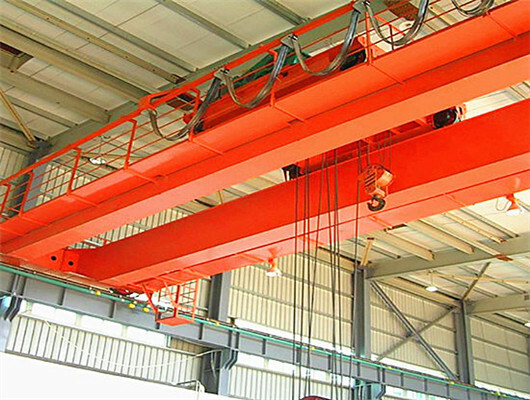 In the lifting equipment industry, the double girder overhead crane are very popular about many countries. 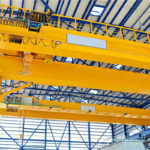 In order to meet the needs of all walks of life, these bridge cranes have lots of types like electromagnetic and electric models. If you have different uses, the various functions can master the products’ abilities. 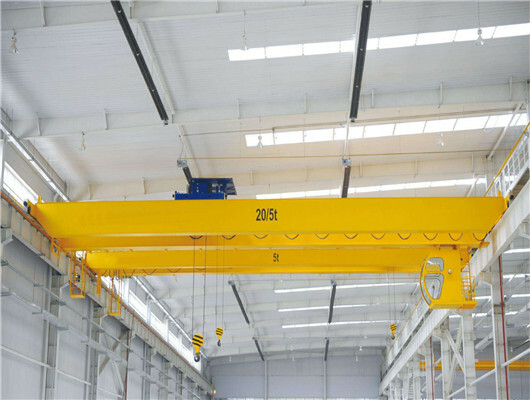 The overhead crane is an important equipment for the factory and some enterprises to achieve mechanized production and reduce the heavy physical labor. It is an indispensable excellent equipment in some continuous production processes. It is the most widely used lifting appliance. The product can be used in factories and warehouses, and can also be used in open stockyards. According to the difference of driving model and bridge structure, bridge cranes can be divided into manual single girder and double girder, electric single beam and double beam and several other types. 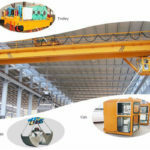 According to the different types of uses and devices, bridge crane can be divided into hook type, electromagnetic type and grab type, as well as dual-use or triple-use cranes’ product. Under normal circumstances, the operators use the hooks for the picking devices in working process. 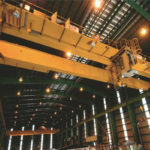 If your products need the different double overhead cranes to load and unload materials, our cranes can help the customers deal with problems. According to the different utilization level and loading condition, the working duty can be divided into several classes. 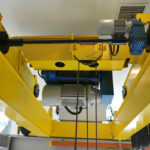 The working operation of the double cranes have two methods including the drive’s controlling room and remote controller. If the operators have some demands, they can choose both of them to work together or add other equipment. According to the installation model and users’ convenience, the entrance of the driver’s room has three ways in side, end and top type. 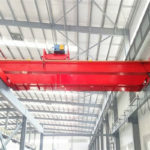 If you want to learn more information for double girder overhead crane, you can carefully view the technical specifications which show the lifting capacity, the span. Lifting height and travelling speed. Our company is expert in making the large tonnage of the cranes and manufacturing the products of the advanced technology, easy maintenance and novel structure. What’s more, our company offer some features that the clients can select depending on the needs. 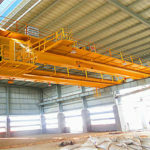 Owing to various types for it, when it comes the crane specification, the customers need learn the exact details. With the development of modern industrial production, the amount of material handling quickly increase. In order to increase labor productivity, it is necessary to greatly increase the number of lifting appliances. 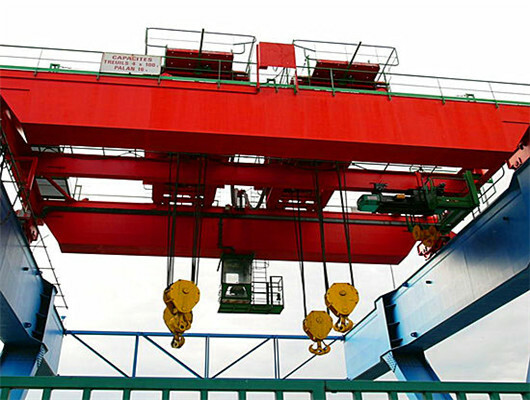 The double bridge crane is a kind of hoisting machinery widely used in industrial and some enterprises. Owing to frequently use them every day and the workload is large, our designers now make the machine reform the multiple cranes. 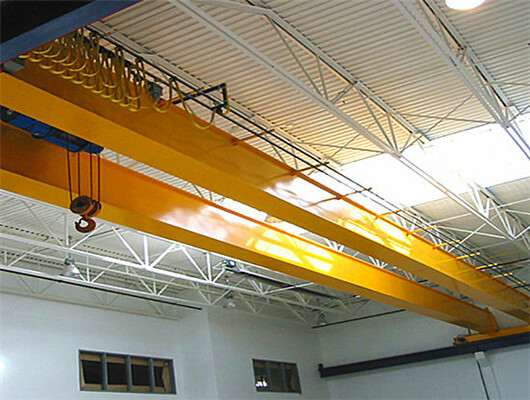 The normal operation of the double-girder overhead crane directly affects the completion of the maintenance task, and the safety of personnel and equipment. 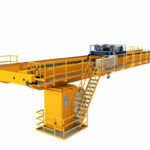 The original bridge crane driving system uses many old ways that hinder the speed of work. The main disadvantages of this control system including motor speed control that is high energy consumption, soft mechanical properties, small speed range, poor smoothness, and big mechanical impact, which affect the service life. However, our designers and experts have solved these problems. Therefore, only by completely changing the original speed adjustment method, our group fundamentally solves the problem of high failure rate. With the rapid development of electronic technology, the performance, the reliability of the frequency conversion have been greatly improved, which provides favorable conditions for the application of the bridge crane driving system. 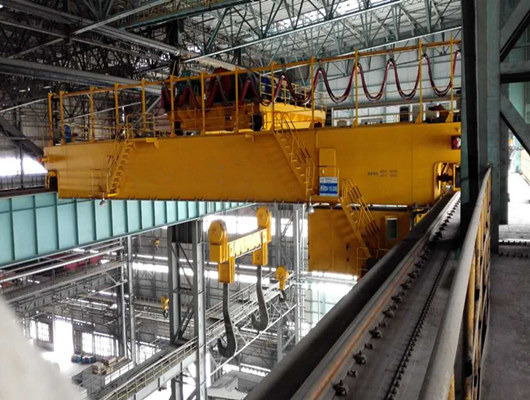 We will first carry out crab and trolley travelling system and the hooks of different tons’ double beam overhead bridge cranes, which is responsible for the important work of assembling the parts, then improve its operating performance and reduce the failure rate. If the customers want to wholesale and custom the different types’ double beam bridge cranes, Weihua can provide these lifting equipment. Since its inception, our company specializes in cranes, especially for single beam type, double beam type, gantry cranes, and overhead cranes. we adhere to the principle of integrity-based and courageously participate in the healthy competition in the market, so that our company’s brand has obtained a good reputation. In addition, our team remains committed to the rules of service-oriented and customer-oriented, which make the clients win the their trust and build the good corporate image in engineering and construction cranes. 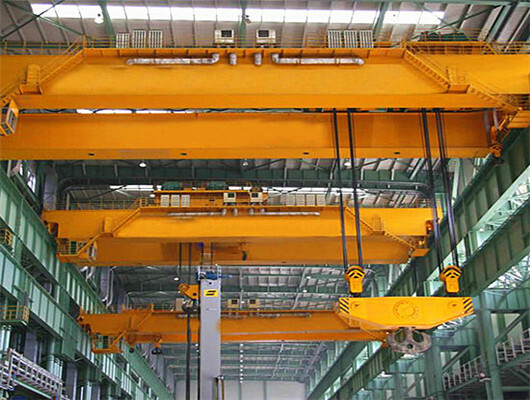 Compared with the single girder overhead cranes, the double model has many advantages of high working grade, strong stability, safety and various functions. Because of two main girders structure, its cost is relatively high. However, especially for the heavy objects, the product can quickly help the users deal with them. Although the crane has the relatively large external dimensions, we can promise to customers who ensure shorting ordering period and give the reasonable price according to the clients’ requirements. 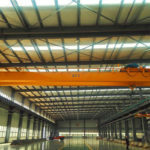 Besides, the crane manufacture provides the suitable installation size of the factory building. Our products’ design absolutely meets national standards. If you have spare time, you can visit our factory in China. The product is widely used in the warehouse, factory, materials stocks and workshop. In addition, it has may advantages including high lifting height, delicate operation, compact structure, low noise, safety and reliability. We can do the special design according to the operator’s requirements. Double main girders equip with some safety protection devices and our experts design reasonable components installation and convenience for maintenance. 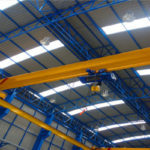 The double girder electric overhead travelling crane can reduce the product’s cost. Generally speaking, it works together with the CD1 model and MD1 model hoists as the complete set and can increase the service space. Electric cable is suspended in reasonable position. Weihua is a leading manufacturer with many years’ experience in China. If our product is something that interests you, email me or just call me directly. Our staff will get in touch with you soon! We have own R&D department and can accept customized manufacturer.